Rejuvenations are carried out when an all weather surfaces start to hold water and become water logged due to contamination. We provide a contamination testing service which shows how much contamination exists in the sand infill. 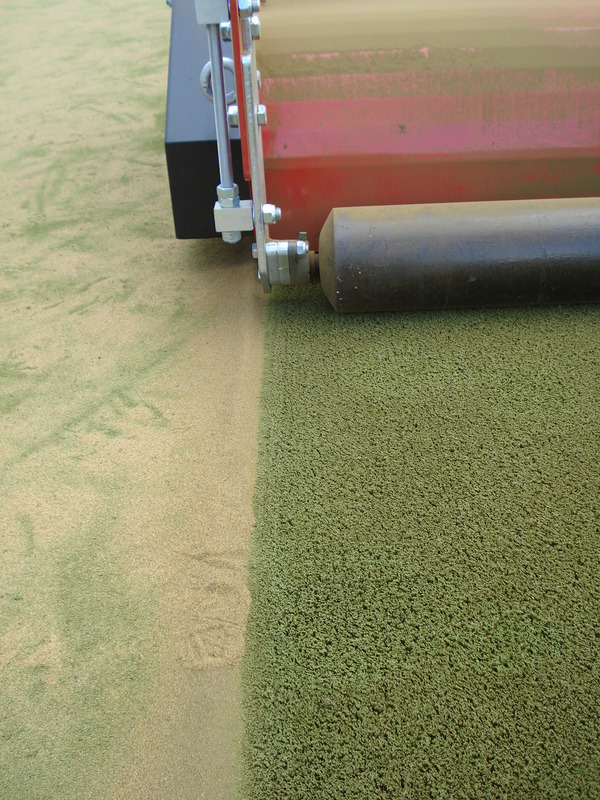 The rejuvenation extracts all the infill from the synthetic turf and replaces it with new infill, which renews the playing surface and returns porosity to the pitch surface. 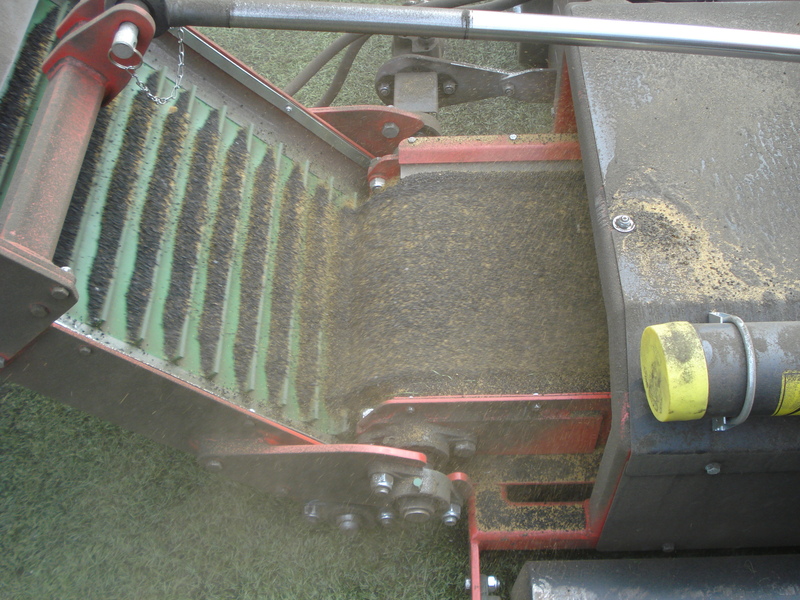 The Eliminator rejuvenates by removing the infill material from the synthetic surface, collected on a conveyor belt and then removed. 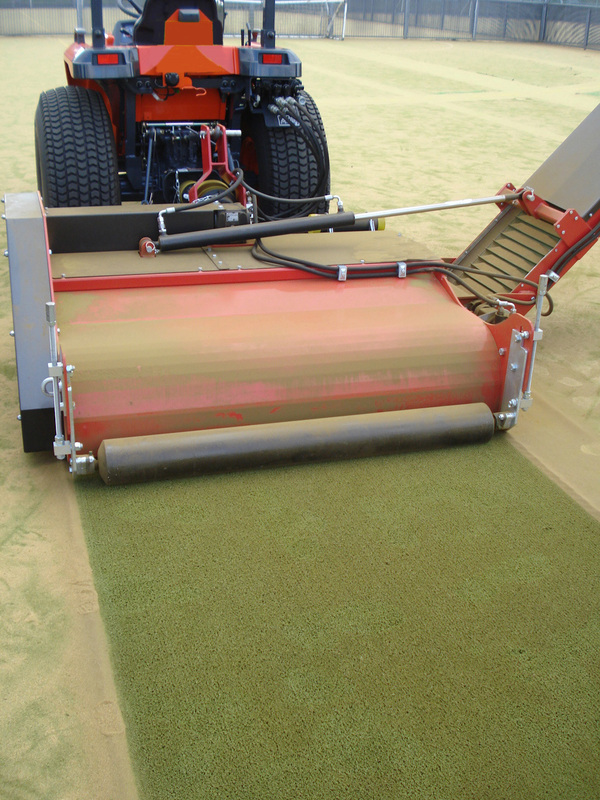 New infill is added and brushed into the synthetic surface afterwards.